Air India Express Notification 2018.Air India Express has released a notification for the recruitment of Manager, Sr. Officer, Coordinator & Other vacancies in Kochi.Check the eligiblity and notification prior to apply for the positions. Deputy Chief of Training (Mumbai)-01 Post. Synthetic Flight Instructor (Mumbai)-01 Post. Dy. Chief of Finance (Kochi) -01 Post. Dy. Manager- Finance -02 Posts. Deputy Chief Of (CAMO) (Mumbai) -02 Posts. Manager – Airworthiness Review -01 Posts. Assistant – HR (Calicut) -01 Post. Sr. Assistant -Web Service-01 Post. B.E /B.Tech /Postgraduate /CA/ICWA from any recognized university or equivalent can apply for the said posts. The Salary would range from Rs.15000 to Rs.174000/- per month for the Manager, Sr. Officer, Coordinator & Other Posts. The Selection Process will be based on the basis of written Test & Interview & Medical Examination for the post. 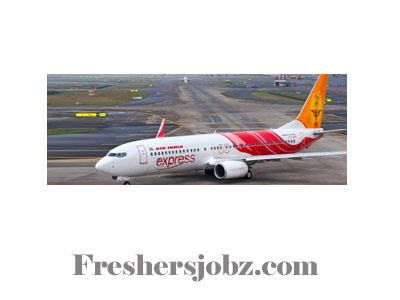 The Applying Process will be based on Offline Mode for Air India Express Recruitment 2018. 29th November 2018. Send the application to the address below. The Chief Of HR Air India Express,AirLine House,Durbar Hall Road, Near Gandhi Square , Kochi. https://www.airindiaexpress.in/en is the link to Download form online.